Finally! A date!! The new Fire Dojo will be open on November the 24. Then go to the Ninja Hideout, buy the amulet, and click on the fire pallet. Enter through the secret door. 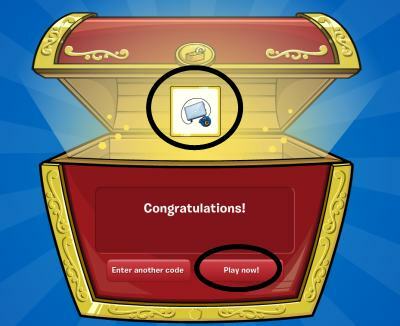 Anyway, Club Penguin can't tell us much, but they did say that we will be able to play with 1, 2, 3, or even 4 players! How cool is that? And also, we will be able to enter codes to the cards, just like last time! So yeah, this is so awesome! I can't wait!